You searched for which does not fit your . We've redirected you to 152-410, which has the proper fitment. 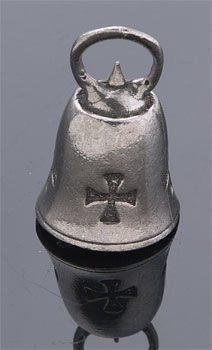 I purchased the Iron Cross Guardian Bell. This was bought as a gift for someone else. When he opened it he was quite pleased with the quality and appearance of the bell. As for my end with ordering and receiving the item, it was very easy to place the order and the bell arrived rather quickly.